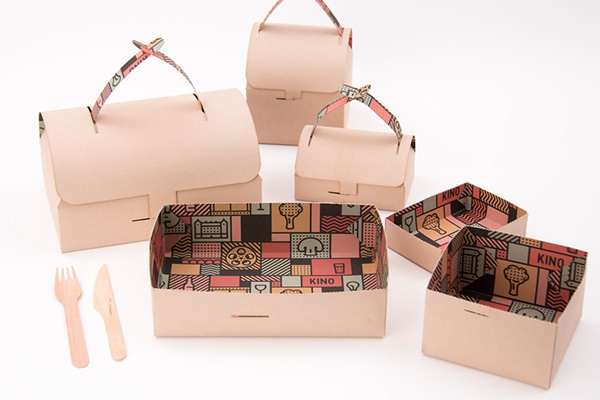 Kino is a combined vegetarian restaurant, bar and cinema in Gothenburg, Sweden and they are launching takeaway. 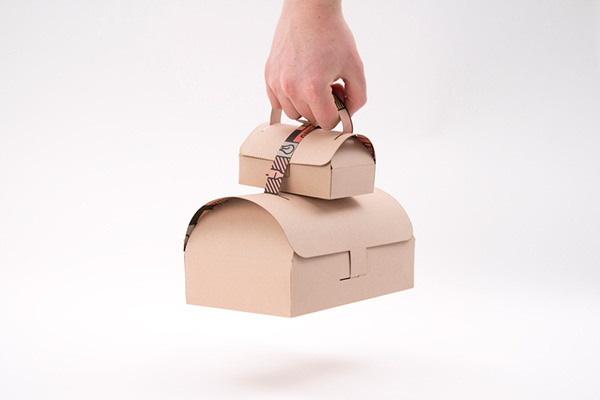 Design and develop one or more packages, appropriate to their cuisine. The focus is on sustainability and the customers experience. 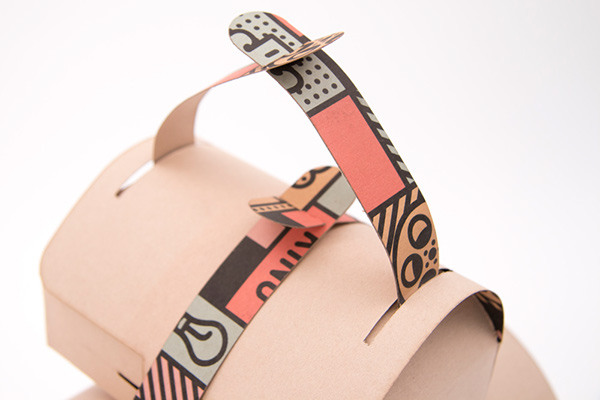 The packaging should also have a strong graphic identity, which should suit Kinos current non-profile and their architecture- exterior and interior wise. 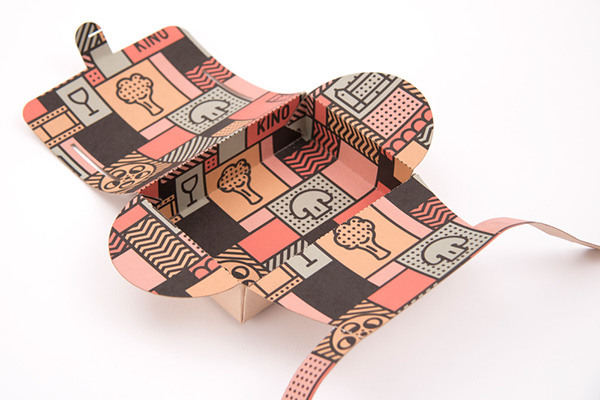 To create an easy to handle and sustainable take away package that fits Kinos present menu. It should also be pleasent to eat from, wether its in a near by park or in a far away office. It must easy for chefs to handle and for the customers to eat from and deal with later. It must be a take away package that carries and expresses(/shouts) Kinos image withouout a pre-given or a new graphic identity. 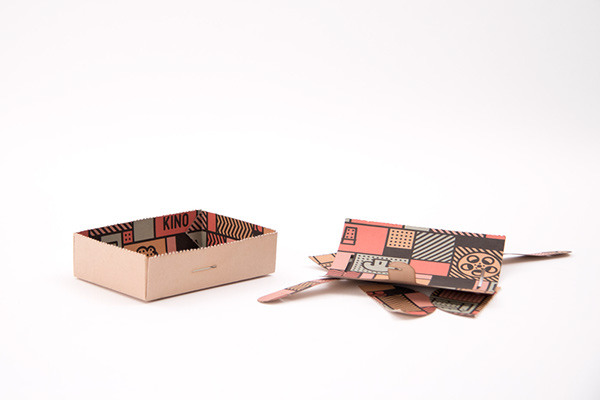 It’s important that the packaging fits with Kinos current brand and image, even from a far distance. 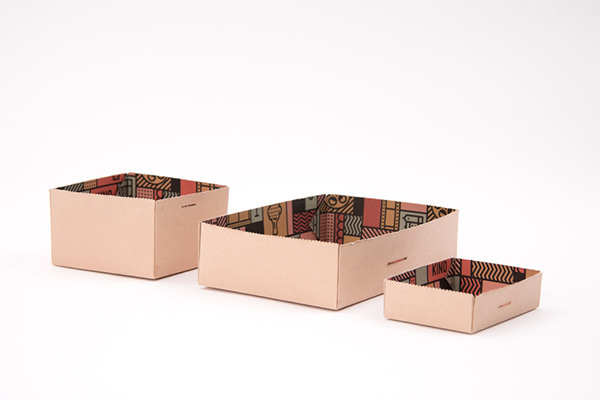 Three different take away boxes, with integrated handles. One for the main course, one for soups and stews and one for salad/bread. 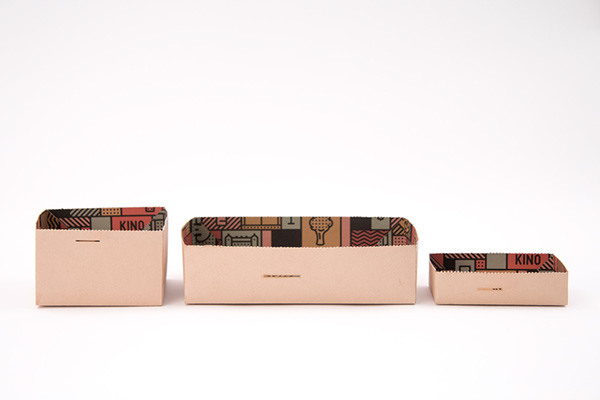 Inspired by vintage camera bags, the packages have an inside print/pattern for that pleasent surpirse. 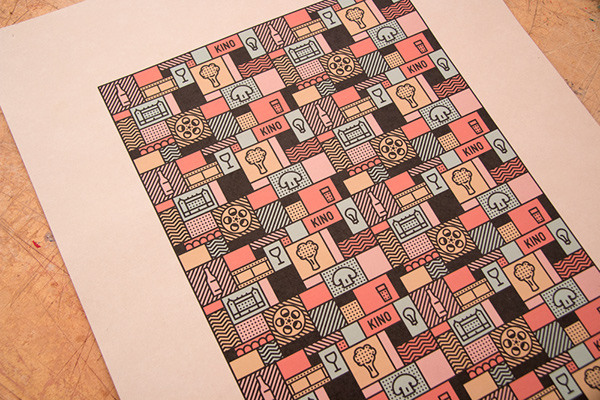 All the details in the pattern comes from details in Kino, architectural- and interior wise. 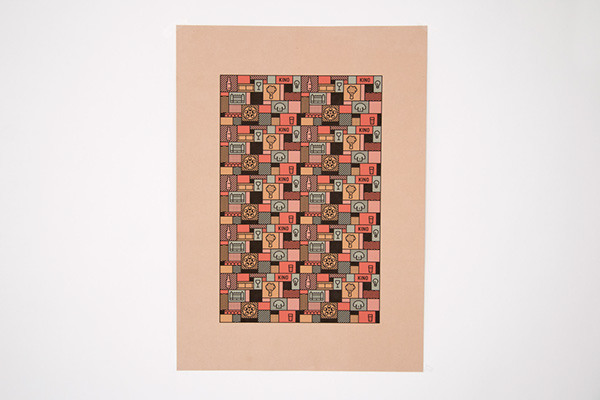 The material is a sustainable sourced paper board with a starch lining, 100% composable and microwave-friendly. The top is both easy to close and open. There is a perforation around the package, so it quickly transformes to a plate. 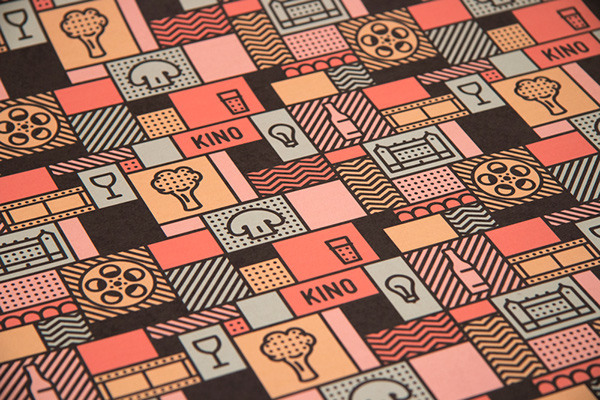 Kino is a combined vegetarian restaurant, bar and cinema in Gothenburg, Sweden. 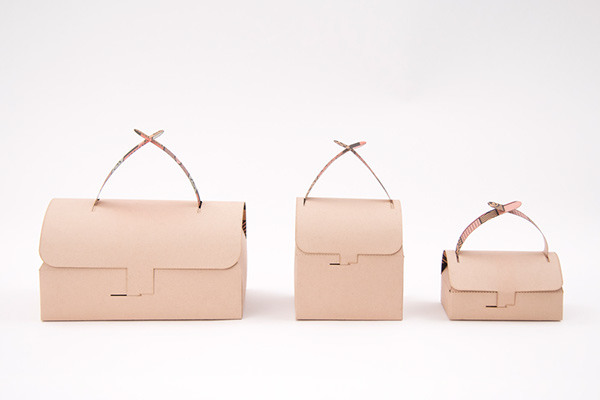 These are three take away boxes, with integrated handles. One for the main course, one for soups and stews and one for salad/bread. 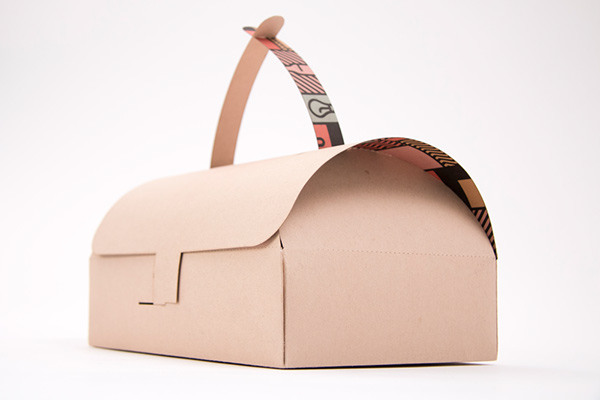 Inspired by vintage camera bags, the packages have an inside print/pattern for that pleasent surpirse. 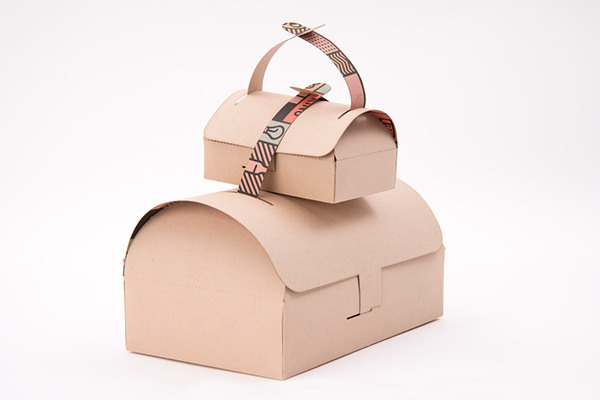 The material is a sustainable sourced paper board with a starch lining, 100% composable and microwave-friendly. The top is both easy to close and open. There is a perforation around the package, so it quickly transformes to a plate.